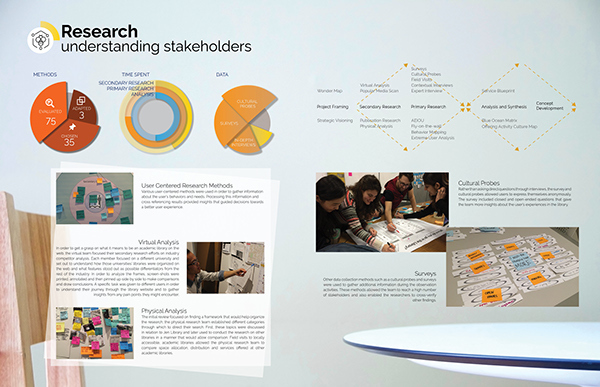 A team of graduate and undergraduate students, spanning multiple disciplines, cultures and diverse experiences, with a multi-part project brief, split into three groups. The first group set out to identify methods that could be used to research user experience at a library and also test those methods at SCAD’s Jen Library. A second group focused on the challenges that libraries across the nation are facing today. A third group focused on documenting this process. 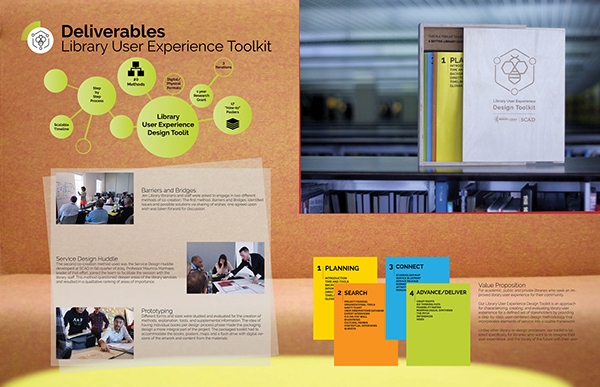 Preliminary insights were presented to SCAD Library Services at midterm and a series of co-creation sessions were held. 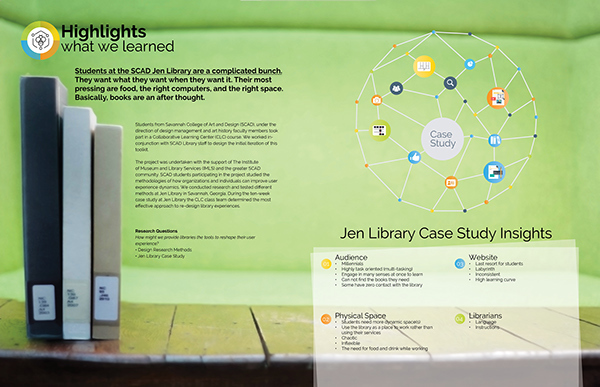 From there, the teams developed preliminary concepts for improving the user experience at Jen Library based on the research results. The team’s last effort was the creation of a preliminary assessment tool for evaluating an individual library’s user experience. Delivery of PHASE ONE of this project took place in three parts. First, the team presented an insight report on the User Experience of SCAD’s Jen Library along with concepts for its improvement. Second, the team presented the toolkit to SCAD Library Services. And lastly, the team discussed the making of the toolkit and how the project should be taken forward in the validation and implementation process. 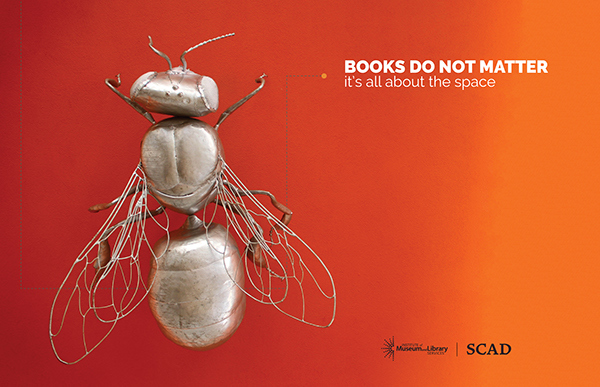 SCAD is collaborating with the Institute of Museum & Library Services to create a development process for improving a library user experience. 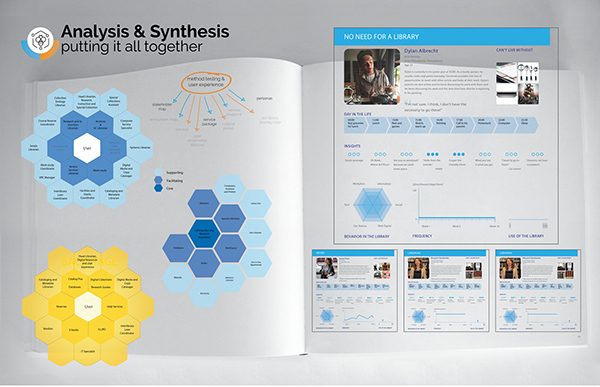 Through research, analysis and characterization of current library experiences, a team of 11 students developed a toolkit to allow better integration of new and traditional services in settings beyond the SCAD library system.